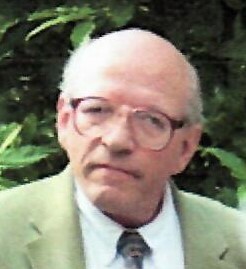 Norwich, CT---Lawrence William “Bill” Barrett left this Earth to be with the Lord on August 3, 2018 of natural causes. Born August 17, 1947 in Burlington, VT, Bill was the first son of sixteen children born to Dr. Frederick C. and Elizabeth B. Barrett of Norwich. He attended Saint Mary’s Parochial School in Jewett City, and graduated from Norwich Free Academy in 1965. Bill attended Saint Michael’s College in Colchester, VT. Bill was especially grateful for his caregivers kindness and compassion. At college, Bill was entrepreneurial starting a newspaper and pizza delivery business and developed a lifelong passion for Shakespeare and poetry. He often recited his poems from his collection. He was recognized with citations and publications in agency newsletters. He was an avid reader and bridge player. These gifts Bill joyfully shared throughout his life. He was proud of his own sobriety and was an advocate for people with mental illness and recovery. He was civic minded and wrote letters to elected officials on matters important to the community, he testified at public hearings and was a spokesman to the media. Bill was devoted to Norwich’s Reliance Health since its’ founding, and was a member of many groups, including the Norwich Senior Center, Teamworks, Penobscot House, and more. To his family and friends, Bill will always be remembered for his kind and sincere ways and reliable friendship. Bill is survived by eleven siblings: Barbara Bloom of Shelburne, VT; Robert Michael (Betty) of Wichita, KS; Frederick C. Jr. (Kathleen) of New London; Kathleen (Dennis) Wehmeyer of Midland, TX; Lois (Robert) Huntington of New London; Stephen Clark (Betsy) of Lisbon; Christopher Calvert of Norwich; Matthew Vincent (Elizabeth Hamilton) of Old Lyme; Elizabeth (John) Bracchitta of Nashua, NH; Theresa (Steven) Levy of Wellesley, MA; and Jane (Ron) Peterson of Meridian, ID. Bill is pre-deceased by his parents and four siblings: Edmund; Anne; Thomas, and Timothy, and a niece, Hope. Bill’s family extends their heartfelt gratitude, first to his devoted and loving sister-in-law Betsy, Bill’s brother Steve, and to his caregivers. In lieu of flowers, donations may be sent to Reliance Health, Inc., 40 Broadway, Norwich, CT 06360. Teamworks Club House, 40 Broadway, Norwich, CT 06360, Change Inc., 1251 S Main Street, Middletown CT 06457. Calling Hours are from 4:00 PM to 6:00 PM on Monday, August 6, 2018 at the Cummings-Gagne Funeral Home, 82 Cliff Street, Norwich (www.cummingsgagnefh.com). Mass of Christian Burial will be held at 10:00 AM on Tues, August 7, 2018 at the Cathedral of Saint Patrick, 213 Broadway, Norwich.